Sometimes when you are wandering around YouTube you tend to end in the weird area of YouTube that is filled with ‘interesting’ videos. I for one always find myself wondering exactly how I always end up in that area. Anyway, you might have come across videos that basically show a person growing and changing over the years and while the idea might have seemed interesting to you, you probably forgot about it in a few days. That is to say, if you ever thought of making one chronological video of yourself. There is an application available for your Android smartphone which can help you do that which minimal effort. 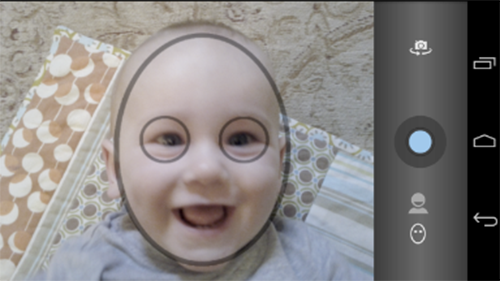 Thanks to a member of XDA, if you are looking to have some fun, you might want to give a shot to PhotoChron. Import images from your native gallery app. So, there are chances that you might forget to take a picture or something like that. Well, the developers were thoughtful enough to throw in a notification reminder which can remind you to take pictures on a daily, weekly or monthly basis, whichever you prefer and that of course can go on to be years. This particular application is available for free on the Google Play Store and is compatible with devices running Android OS 2.3 or higher. If you are looking for more information on this application you might want to visit the original thread by the developer. One thing you must know is that this is a long process, so you might want to be patient. Let us know what you think.